Time and Location: Thursday, Sept. 10, 5:30 pm at the Department of Art History and Communication Studies, room Arts W-215. Title: "A Thousand Tiny Architects? Art and the Animal"
Brief Abstract: This paper addresses the inhuman, animal conditions of art by exploring the relevance of the works of Darwin and Uexküll on sexual and artistic attraction for understanding the human enframing of art. If art is of the animal, this paper explores what the animal makes of its world, and how this provides the conditions for all of the human arts. 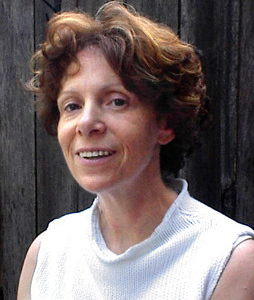 Elizabeth Grosz is professor of Women's and Gender Studies at Rutgers University. She previously worked in the English and Comparative Literature Departments at SUNY Buffalo. She is the author, most recently, of Chaos, Territory, Art. Deleuze and the Framing of the Earth (Columbia, 2008), Time Travels. Feminism, Nature, Power (Duke, 2005), and The Nick of Time. Politics, Evolution and the Untimely (Duke, 2004). Made Possible by a Mini-Beatty Grant and co-sponsored with the McGill Department of East Asian Studies, and The Departments of Comparative Literature and English Studies at Universite de Montreal. Time and Location: Thursday, Sept. 17, 5:30 pm at the Department of Art History and Communication Studies, room Arts W-215. Title: "From a financial crisis to political ontology"
Brief Abstract: The conflict between cultural and economic accounts has structured the human sciences (and critical communication studies) for some time. I want to consider both the possibilities and limits for cultural studies to take up economic matters and incorporate them into its broader contextual analyses, and to illustrate this by considering what cultural studies can contribute to understanding the contemporary financial/economic crisis. Finally, I want to explore how this analysis can give us new insight into the specificity of the cultural and political problematics of the contemporary conjuncture. 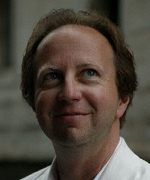 Professor of Art History, Bristol University. Time and Location: Monday, Sept 28 at 3:30 pm at the Department of Art History and Communication Studies. Note: Space is limited. To attend, please contact Richard.Taws [at] mcgill.ca (Richard Taws) . Event: Graduate seminar on the reception of the Elgin and Aegina marbles, c.
Note: Joseph Koerner will also be leading a seminar on Friday, November 5th, at 1:00 pm in Ferrier 230. Space is limited. To attend, please contact Angela.Vanhaelen [at] mcgill.ca (Angela Vanhaelen) . Professor of Sociology, Department of Culture and Communication at Drexel University, Philadelphia. Time and Location: Thursday, October 15, 5:30 pm at the Department of Art History and Communication Studies, room Arts W-215. Co-sponsored with Media@McGill and the Department of Geography. Title: "Infrastructures of the Imagined Island: Media, Mobility and Tourism"
Professor of Art History, Harvard University. Time and Location: Thursday, November 5, 5:30 pm at the Department of Art History and Communication Studies. Public lecture, all are welcome. Title: "The Unspeakable Subject of Hieronymus Bosch"
Note: Joseph Koerner will also be leading a seminar on Friday, November 5th, at 1:00 pm in Ferrier 230. Space is limited for this event. To attend, please contact Angela.Vanhaelen [at] mcgill.ca (Angela Vanhaelen) . Professor of Art History, Northwestern University. Time and Location: Wednesday, December 9th, 5:30, Université de Montréal, Pavillon Lionel Groulx, le local B3260. Title: "Episodes from Parisian Visual Culture in the Era of Thomas Edison"
Hollis Clayson is professor of art history and Bergen Evans Professor in the Humanities at Northwestern University. She specializes in the social history of nineteenth-century art rooted in Paris and in transatlantic exchanges between France and the U.S. Her publications include Painted Love: Prostitution in French Art of the Impressionist Era (Los Angeles, 1991; reprint 2003); a co-edited thematic study, Understanding Paintings: Themes in Art Explored and Explained (New York, 2000; translated into six other languages); and Paris in Despair: Art and Everyday Life Under Siege (1870--71) (Chicago, 2002). She has most recently written three essays investigating the arts of privacy and the interior. Her current research focuses upon U.S. artists in Paris (1870-1914) and their preoccupation with night in the City of Light. Ines Lindner, Assistant Professor of Art History, FORUM für Interdisziplinäre Studien Muthesius Kunsthochschule. Time and Location: Thursday, January 28, 5:30 pm at the Department of Art History and Communication Studies, room Arts W-215. Title: "The Fabrication of the Marvelous: Snapshots and Montages in Max Ernst's Collage Novels"
Brief Abstract: The marvelous is a key concept of Surrealism. 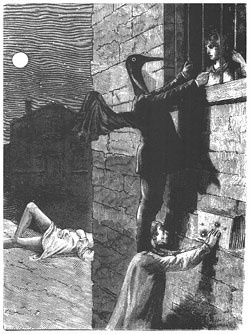 Max Ernst fabricates the marvelous methodically through the use of illustrations from dime novels and popular science reproductions from the 19th Century. Frequently, he uses woodcuts from the journal La Nature, which illustrate articles on the development of chronophotography by Jules Étienne Marey and Albert Londe among others. He not only uses them as material for his collages, but the genuine photographic aspect of snapshots becomes the model for his montage strategies. Note: If you would like to attend a seminar discussion with Prof. Lindner on Tuesday January 26 at 10am, please contact Professor Mary Hunter: mary.hunter2 [at] mcgill.ca. 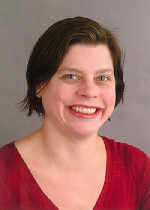 Jodi Dean, Professor Political Science at Hobart and William Smith Colleges in Geneva, New York and Erasmus Professor of the Humanities in the Faculty of Philosophy, Erasmus University, Rotterdam, the Netherlands. Time and Location: Thursday, February 11, 5:30 pm at the Department of Art History and Communication Studies, room Arts W-215. Brief Abstract: Giorgio Agamben has introduced the idea of whatever being as a tag for a contemporary mode of belonging unbound by the inscriptions of disciplinary identity. Some agree that this mode could herald a better coming community. Linking whatever being to appearances of whatever in networked communications and positioning it within a brief history of the interconnections between media and identity, I argue that whatever being is the wrong model for a subject capable of left political practice and opposition. Jodi Dean is a political theorist who is engaged with contemporary radical political thought and questions surrounding politics and emerging media technologies. 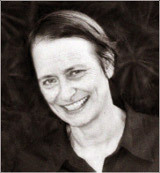 She has written extensively on Slavoj Zizek (including her book, Zizek's Politics) and has also published critical articles on Judith Butler, Hardt and Negri, Jacques Ranciere, Michel Foucault, Jurgen Habermas, Iris Marion Young and Giorgio Agamben, among others (she has indicated that her lecture here will concern Agamben and...blogging!). 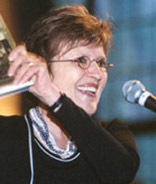 She is animated by concerns about contemporary media and political culture, particularly in post 9/11 North America, with quite radical takes on questions concerning publicity, contemporary democracy, network culture, the Left, conspiracy theory, strangers and secrecy (see her books Publicity's Secret, and Democracy and Other Neo-liberal Fantasies). Time and Location: Wednesday, March 3, 5:30 pm at the Department of Art History and Communication Studies, room Arts W-215. Reception to follow. Title: "Muybridge's Animal Locomotion: The Question of Narrative"
Brief Abstract: Eadward Muybridge's 1887 photographic atlas 'Animal Locomotion' is a curious mixture of art and science, a polysemic text that has been subject to a number of readings. In her lecture, Braun will analyze the different claims made for the work, and will focus on her discovery of the work's multiple authorship: the contributions of Muybridge himself on the one hand, and those of his committee members on the other. To attend a graduate seminar led by Dr. Braun about photography and objectivity on Tuesday March 2, please please contact Professor Mary Hunter: mary.hunter2 [at] mcgill.ca.